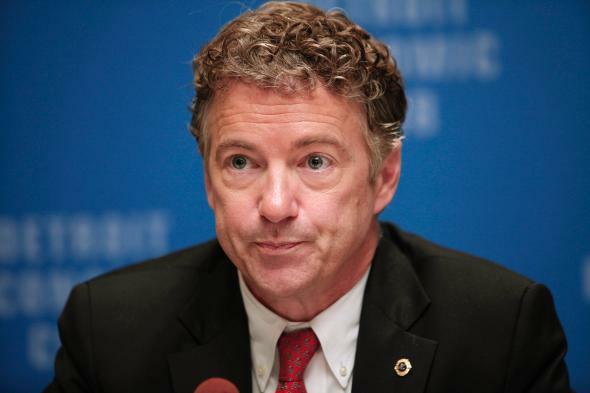 Enterprise zones: The one thing Rand Paul and Barack Obama agree on, and it doesn't work. Rand Paul … he’s just like Barack Obama! Jack Kemp called them Enterprise Zones. Barack Obama calls them Promise Zones. Rand Paul calls them Freedom Zones. In this unexpected week of war-on-poverty one-upsmanship, a rare concord united Obama and Paul as the president talked up the idea of tax benefits for blighted urban areas. Everybody loves this! Apart from former Kemp economist Bruce Bartlett, who has collected the irritating data suggesting it doesn’t work. A 2006 article in the Journal of Urban Affairs found only a few instances in which economic activity in the zone was better than that in comparable areas outside the zone. An article in the Economic Development Quarterly in 2009 found “no evidence that these enterprise zones affected the employment of zone residents.” An article in the Journal of Urban Economics in 2010 found, “The evidence indicates that enterprise zones do not increase employment.” The evidence is equally weak regarding the New Markets Tax Credit. A 2009 article in the Public Finance Review found no change in investment in low-income communities. I doubt this is enough to remove the zones from the State of the Union. Republicans, in good faith, love the idea of urban renewal based on tax relief; Democrats love to have one thing embraced by the right. The evidence that, say, a supply-side tax cut to the top income level will grow the economy, is no stronger than the evidence for an enterprise zone. Doesn’t matter: Republicans favor it. Rand Paul, in particular, has pointed to the urban-relief plan as a solution that disproves any claims that his party is callous. Earlier this week, when he was talking to reporters on the Hill, Paul responded to a question about “how it would look” when the party voted against unemployment insurance by rattling off the black unemployment rate and citing the Freedom Zone curative.